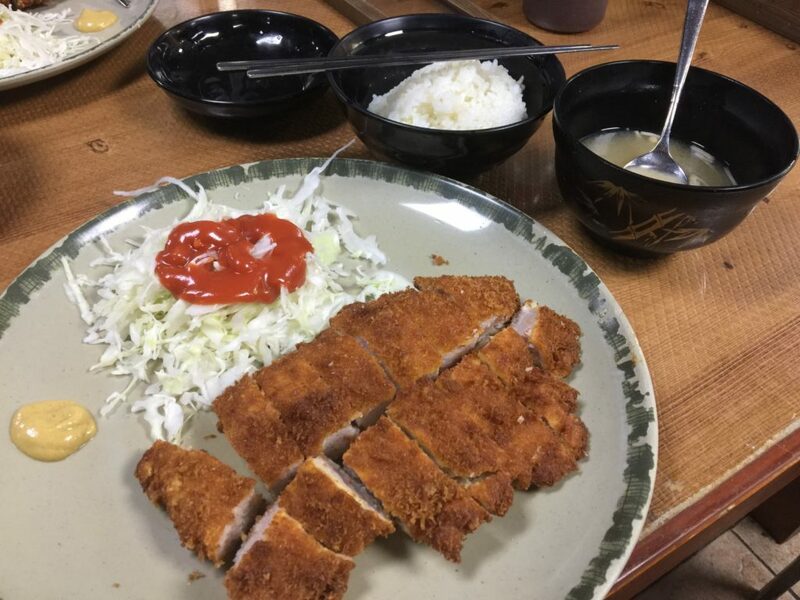 Tonkatsu is arguably one of my favorite food from Japan. The simple and hearty meal is my go-to hangover fill-me-up, and I’ve had many great tonkatsus in Japan, like Tonchinkan in Shinjuku. I’ve heard of a famous tonkatsu place in Seoul that I wanted to check out, and also know the difference between the tonkatsus of both countries. In fact, this tonkatsu place claims to base their tonkatsu on the Japanese version, where the founder had been to and studied it at length. I’ve had some in Korea before but they weren’t very noteworthy, so I was looking forward to Hansung Tonkatsu. The tonkatsu here is clearly popular as they have opened 4 more outlets from 2011. But I visited the original outlet that begun in 1986, more than 30 years ago! The place was a little hard to find and very discreet. Being the original shop which started in the 80s, the interior maintains the original, old style, while the new outlets were modernized and beautifully-designed. 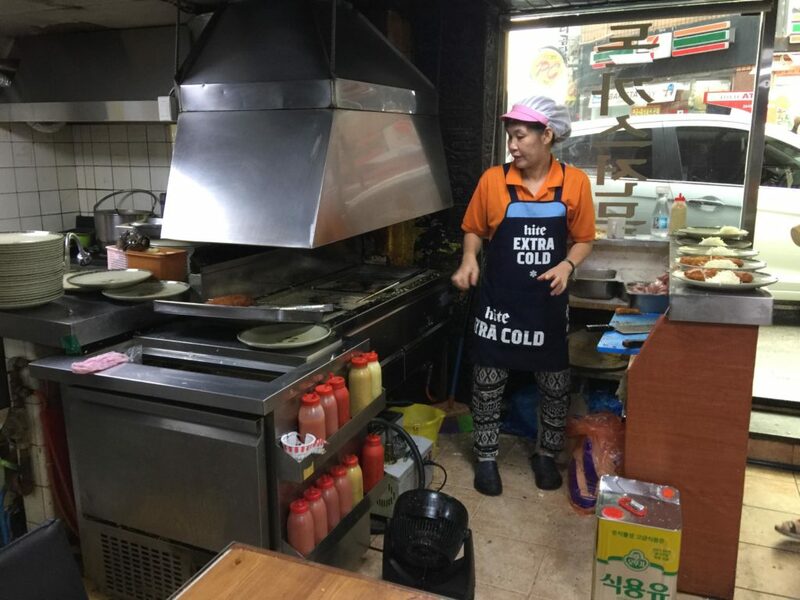 Upon entering the shop, you can see the ajumma preparing and frying the pork cutlets. I was confident of my choice seeing the shop full of customers at 3pm in the afternoon. Apparent from my growing belly, I eat a lot of tonkatsu in Japan. So, I love spotting the differences between the both country. 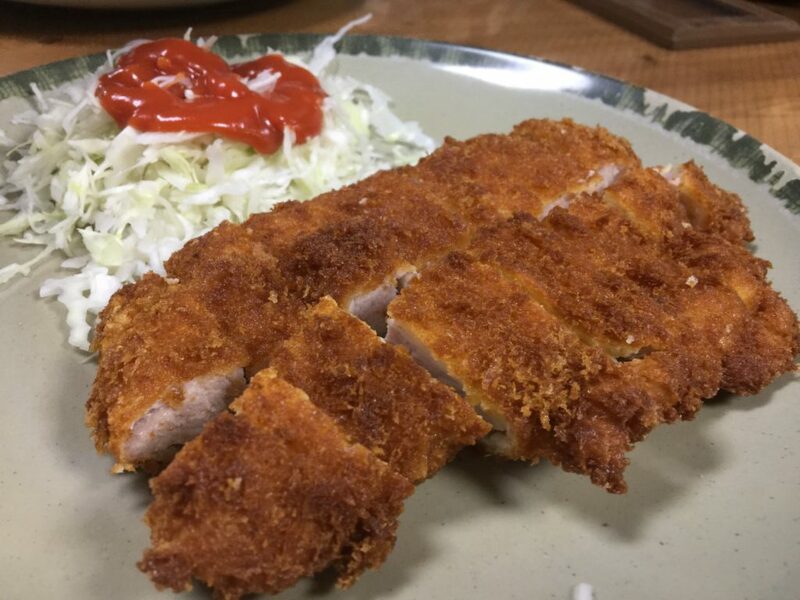 First of all, the great tonkatsu places in Japan would not bread the cutlets ahead of time, which I guess is to prevent the breading from turning soggy from the pork grease. 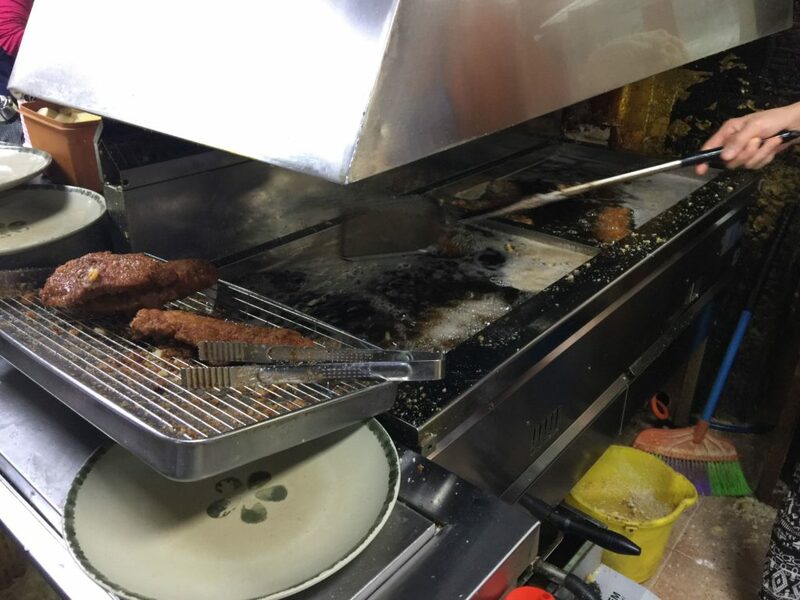 Hansung, however, has stack of breaded cutlets ready to deep fry. I wasn’t sure if there was any direct effect on the taste, but something about those stacks don’t give off a clean and well-prepared impression. Cutlets were breaded ahead of time. Since they were pre-breaded, the food came within 5 minutes. There was also chicken, fish and beef cutlet, but I went for the signature tonkatsu. The tonkatsu itself was great, but not any better than the ones in Japan, but it is the sauce that really made this place special to me. According to the website, the sauce takes 8 hours to make. Unlike many tonkatsu restaurants in Japan, they do not give free refills of rice, soup or cabbage. 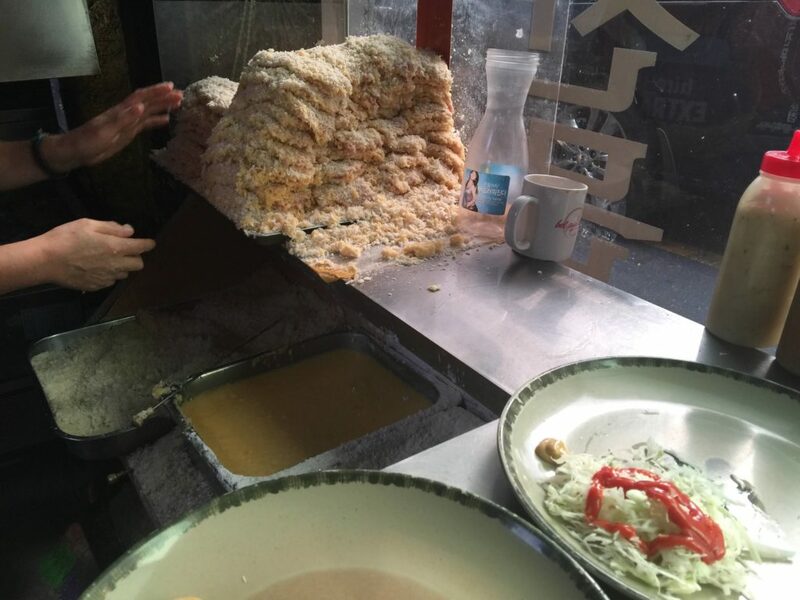 The rice wasn’t a big bowl to begin with and each extra bowl of rice is at 1000 won. 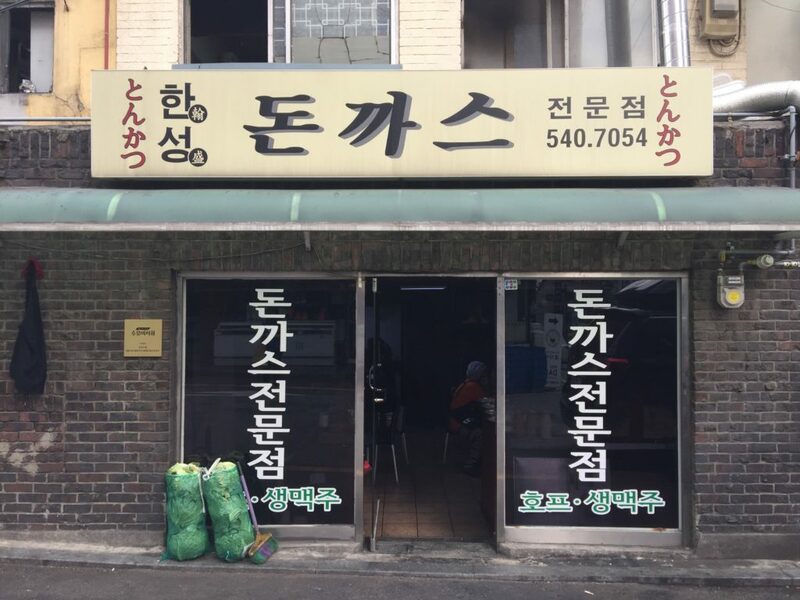 The soup uses Korean miso, which tasted distinctively different and slightly lighter from Japanese miso. It was also interesting to note that the cabbage was topped with the unusual choice of ketchup and not as finely shopped as in Japan. 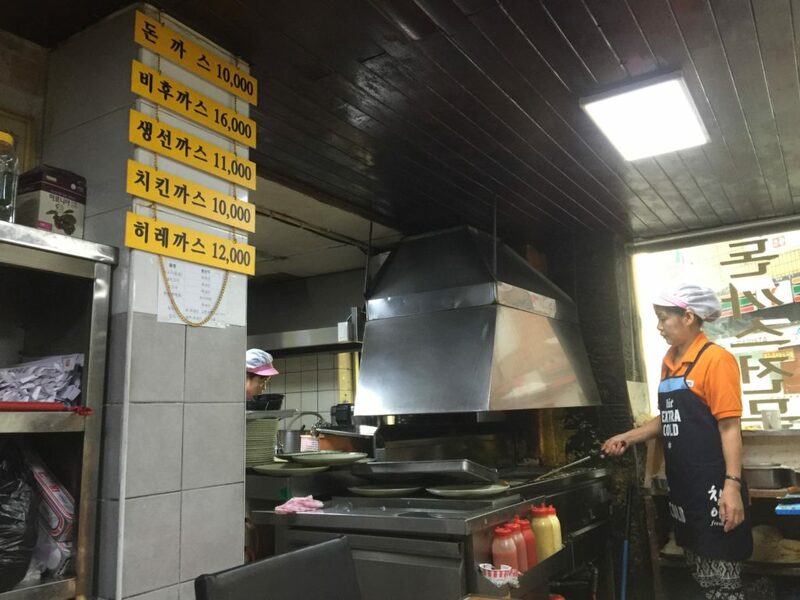 At 10,000 won, this simply cannot compare to the quality and cost performance of most tonkatsu places in Japan. But, it was a good place for Japanese influenced Korean style tonkatsu (if there was such a thing). I would not recommend it if you live in Japan, but definitely worth going of you don’t have better options besides the ones in Korea. Ultimate unison of price and taste.